Over the past week it has definitely become winter. Summer is officially gone which means a major change in my essentials. So long lip balm with SPF, and hello mega-moisturising chapped lip care. I always turn to Nivea for super-strength lip care. Their essential care lip balm is handbag essential for winter – protecting and nourishing lips from the cold. 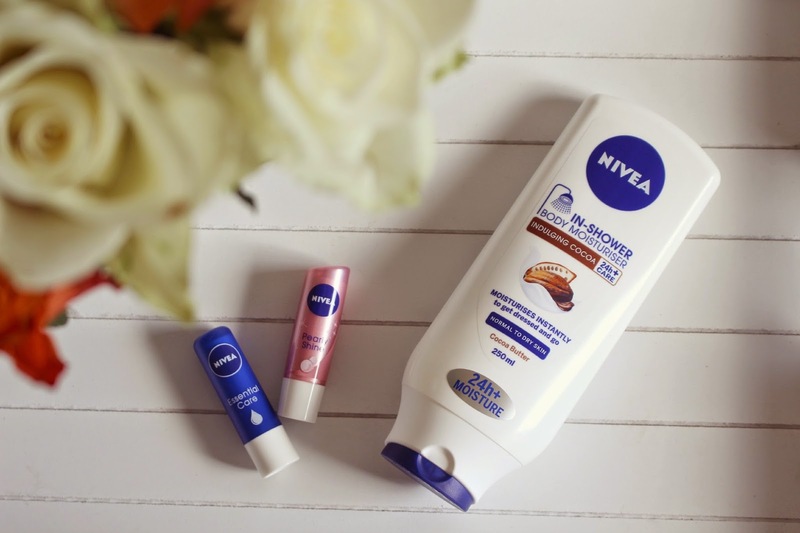 Even my shower routine has changed – it’s too cold when you step out of the shower to stand there and apply your usual body moisturiser in the morning, so instead I’ve been using the Nivea In-Shower body moisturiser. The moisturiser is the last step of the in-shower routine, after using your normal body wash, you turn off the water and apply all over just like a normal body lotion. You then wash it off (with just water, no sponge) and it leaves behind a cocoa butter coating on your skin. You can dry off with a towel as normal and it doesn’t come off at all – but skin is left feeling soft and nourished and the best part is that you can get dressed straight away! Ok – if you want an ultra nourishing moisturiser or your skin is a bit dry, it may not be enough. But for everyday when you just want to get out the shower and go (as opposed to shivering while applying your usual body lotion) then the Nivea In-Shower Body Moisturiser is an absolute saviour. 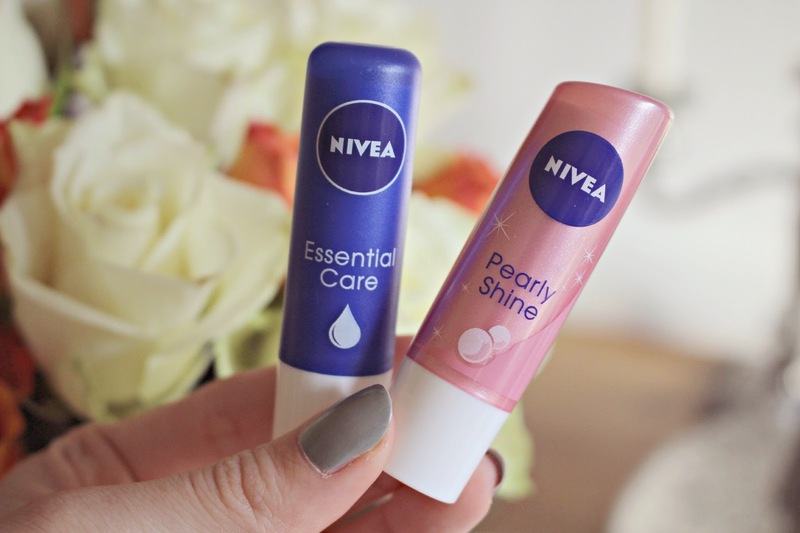 The blue one is great for when your lips really need extra care – if they are getting a bit chapped from the chilly wind for example – the balm is enriched with Shea Butter and Jojoba Oils which prevent moisture loss and leave lips feeling smooth. Also caring but with a slight shimmer is the Pearly Shine balm – with pearl and silk extracts, lips are soft and smooth but also left with a subtle tint and shine. Nivea are running a competition right now where you have the chance to win a total makeover and the chance to be the face of the next Nivea campaign in Heat. All you have to do is upload a pic of yourself, or you and a girlfriend showing that you have got the #ModelLipsUK. So get selfie-snapping and upload your pics using the hashtag, and you can shop my Nivea essentials and the rest of the range from the Nivea website here. What are your Chilly-Weather Essentials?